Nick Kyrgios defeated Tomas Berdych in their singles match to give Team World their only points of the day’s play. 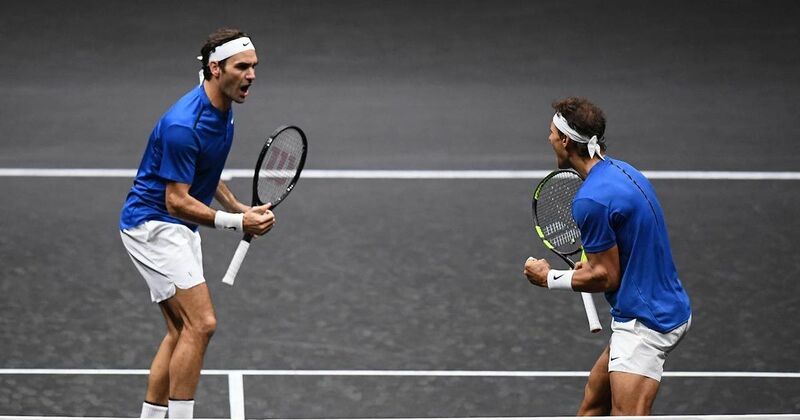 Rafael Nadal and Roger Federer took Team Europe to within two wins of lifting the Laver Cup on Saturday after they played doubles together for the first time, but ruled out a full-time partnership on the tour. The world’s highest ranking duo handed Team Europe, skippered by Bjorn Borg, a 9-3 lead over Team World, captained by John McEnroe, after two days of action in Prague.
.@RafaelNadal has already had a few highlight reel points at the #LaverCup! After Nadal and Federer had won their singles rubbers, all eyes at Prague’s sold-out O2 Arena were then on the two legends who played on the same side of the net for the first time in careers which have stretched the best part of two decades. They started the doubles against Sam Querrey and Jack Sock on a high, earning a break in the first set to win 6-4. They visibly enjoyed the experience, with Federer laughing off a massive air shot halfway through the set. However, they were in far more serious mood in the second set as both lost their serve, allowing the American pair to level with a 6-1 win. Much to their relief, the world’s top two players, with 35 Grand Slam singles titles between them, regained their composure in time to sweep their rivals 10-5 in a super tie-break. Nadal, 31, said he will remember the night he teamed up with his old rival and close friend for the first time. “It was unforgettable for both of us after the history we have behind us as rivals. Something we really enjoyed a lot,” said the Spanish star. “He said it all,” chuckled 36-year-old Federer. “My last doubles was so long ago that I hardly remembered how to react at the net,” said Federer, forcing “You did extremely well!” from Nadal. In Saturday’s opener, Federer, this year’s Australian Open and Wimbledon winner and the world number two, swept 16th-ranked Querrey 6-4, 6-2 after earning a break in the first set and two in the second. World No 1 Nadal, who won the French and US Open this season, then overcame a scare to beat 21st-ranked Sock 6-3, 3-6, 11-9. Nadal and Sock traded breaks early into the rubber but Nadal added another to take the first set. The second set was a mirror image of the first with Sock taking the honours and earning a nerve-wracking super tie-break, in which he came back from 5-1 down to level at 9-9 before Nadal showed his dominance to win. Australia’s world No 20 Nick Kyrgios then gave Team World a boost as he beat 19th-ranked Tomas Berdych of the Czech Republic 4-6, 7-6(4), 10-6 in a clash of big servers. On Sunday, three singles and one doubles will close the tournament, with the players earning three points for each win after two on Saturday and one on Friday. 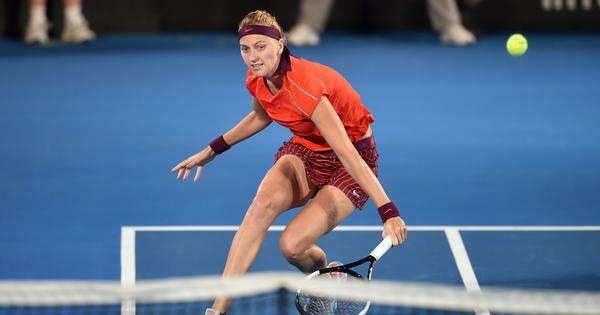 On Friday, Marin Cilic beat Frances Tiafoe, Dominic Thiem overpowered John Isner and Alexander Zverev saw off Denis Shapovalov to hand Europe a 3-1 lead as Nadal and Berdych lost to Kyrgios and Sock in doubles.